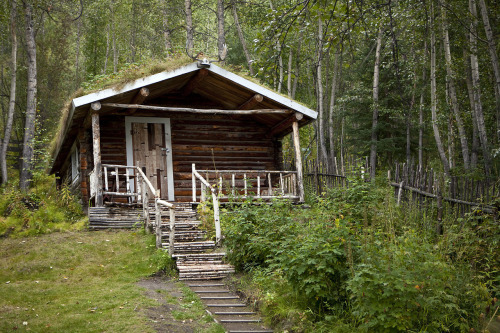 Spruce log and sod roof cabin of author Robert Service in Dawson City, Yukon. Built in 1897. Submitted by Tom Fowlks.